The CA Sri Lanka speech craft programme in session. The programmewhich is conducted free of charge, will help students improve their communication as well as leadership skills, enhance effective public & presentation skills, build their confidence, and also sharpen their thinking and comprehension skills. The ultimate aim of the ten day programme is to help the students inculcate important communication and leadership skills and have the ability to communicate effectively when they progress as Chartered Accountants. Speaking at the event, President of CA Sri Lanka Mr. Jagath Perera said that the Institute does not produce Chartered Accountants only for the local market but also for the global market. “Therefore, we need to compete at a global level and ensure our products are fit for such a market,” he said. 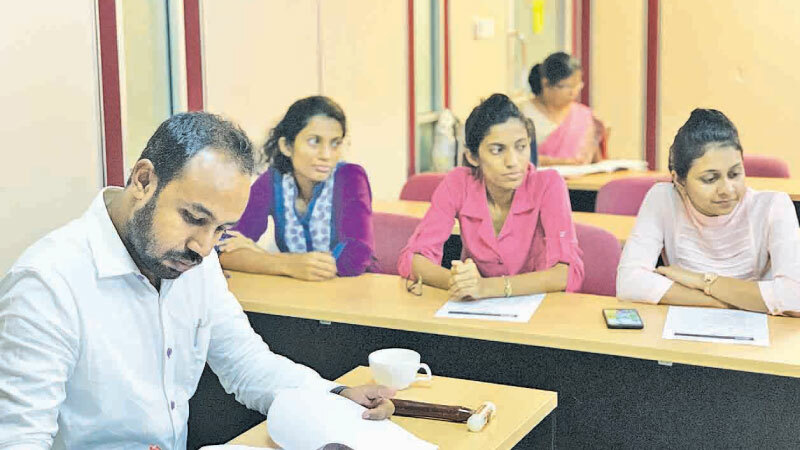 Perera said that the Institute has launched a series of programmes including the Speech Craft Programme and the Financial Report Writing Workshop to help the CA students to gain a deeper understanding on the importance of communication skills, so that when they go onto become CAs, they will not only be good technically, but will also have the ability to communicate matters eloquently even with non-accountants who do not understand certain accounting and financial methodologies.